Having trouble reading this email? Click here to view it in a browser. After a long dark winter, nothing quite signals the coming of spring like bringing home the first colourful bunch of full-headed tulips. 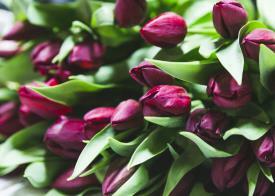 In fact did you know that tulips and daffodils make up over half of the ‘seasonal’ flower market in Britain. With Mother's Day coming up on 31 March be sure to treat your Mum to a bunch of British blooms. 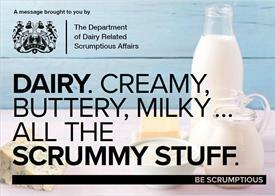 Keep your eyes peeled for the latest cheeky adverts from spoof organisation The Department of Dairy Related Scrumptious Affairs. The humorous ads promoting the nutritional benefits of dairy products are appearing on cinema screens, on-demand tv and social media now. Although tart when raw, cooked rhubarb makes the perfect ingredient for lots of sweet desserts, including fruit crumbles, pies and fools. ​Why not make the most of what's in season and have a go at making this Rhubarb and Ginger Fool from our Countryside Kitchen recipe book. Brexit has dominated the news agenda over recent weeks with the NFU receiving much media interest over the Government's announcement that 87% of imports would be eligible for zero tariff access to minimise the risk of consumer price rises in the event of a no deal Brexit. The proposed tariffs announced provide some protection for the lamb, beef, pig and poultry industry, but tariff free trade has been announced for the eggs, fruit, vegetable and cereals sector, which will impact British farmers. A focus on food standards has also been in the news after the US published its negotiating objectives for a potential UK / USA trade deal. 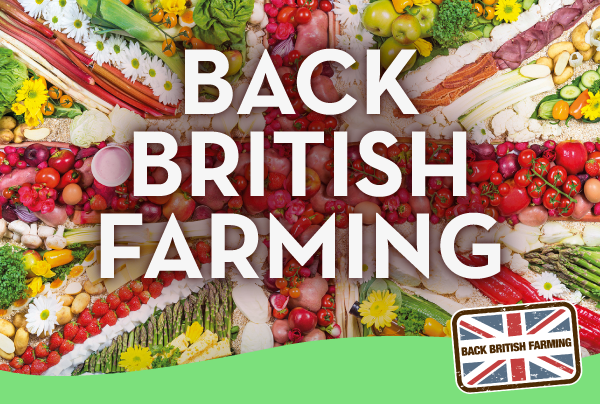 One of their asks is comprehensive access to the UK's agricultural markets, despite their production standards being lower than the high standards British farmers produce to. NFU President Minette Batters reiterated that it is imperitive that any future trade deals do not allow the imports of food produced to lower standards than those required by British farmers. With the clocks going forward at the end of the month and early spring produce starting to make it's way onto supermarket shelves, it really does feel like spring is on the horizon. And with that of course comes the welcoming sight of newborn lambs. 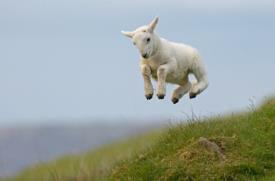 British farmers are currently busy working around the clock to ensure the safe delivery of more than 17 million lambs. © Copyright 2018 NFU. All rights reserved.